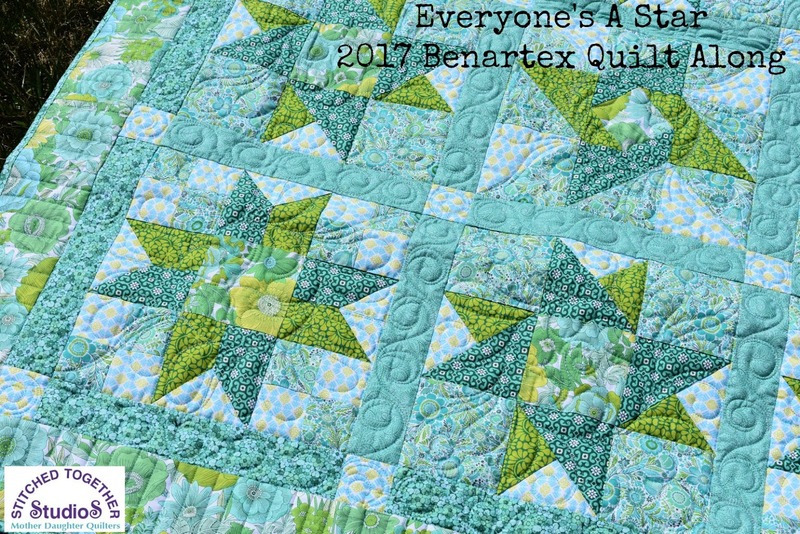 Back in February, we hosted the Everyone's A Star Quilt Along, where three quilters demonstrated how to make three different star blocks (using three different fabric lines!) and assemble them into a lap quilt. We hope you enjoyed following along as we stitched, and maybe even started your own version of the quilt! Click here to find all the Quilt Along posts. 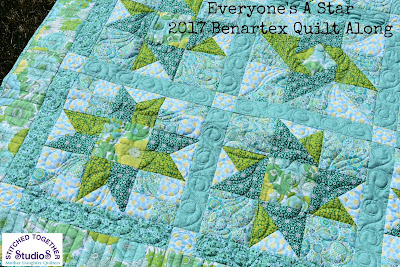 We also offered a prize opportunity to anyone who pieced a version of the quilt along quilt using Benartex, Kanvas, or Contempo fabric. We're excited to show you one of our sample quilts that has been finished, as well as two winners who stitched (and finished) their own versions using our fabrics. 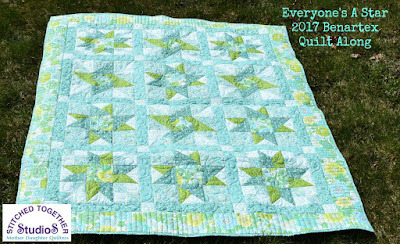 First up, Stephanie Sheridan's Everyone's A Star quilt, made using the Liberty Garden prints. Linda Leathersich quilted this, stitching in the ditch around the stars to help them pop, and then adding curly swirls in the sashing and a super fun and modern straight line border design. Beautiful job, ladies! Thanks for sewing along with us! You can still quilt along with us! Click here to find all the Quilt Along posts and get started.